Dr. Rupa Bala, a cardiac specialist ended up leaving rather than being fired, according to the suit. It coincides with the collapse of the heart transplant program at OHSU. The cardiology department of Oregon Health & Science University faces a discrimination lawsuit that outlines substandard medical procedures and unsafe practices during cardiac procedures. Dr. Rupa Bala, a cardiac electrophysiologist or specialist in heart pulses, accuses the university in her lawsuit of discriminating against her for being an outspoken woman of color who pointed out protocols that put patients in danger. Bala, who's a citizen, is from India. 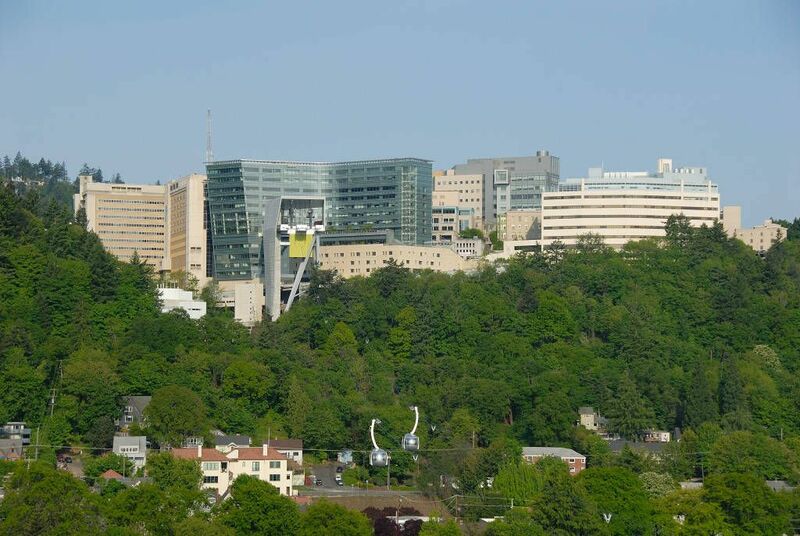 The complaint, initially filed in May at the U.S. District Court in Portland, names OHSU, Bala’s immediate supervisor, Dr. Charles Henrikson, and his boss, Dr. Joaquin Cigarroa, as defendants. Cigarroa is also the supervisor who oversees OHSU’s heart transplant team which has essentially collapsed, with its four cardiologists forced out or resigning. OHSU does not comment on litigation, but did say in a statement that “we take allegations of discrimination seriously.” Bala also told The Lund Report that she could not comment. But the lawsuit, which seeks unspecified damages for loss of employment, emotional distress and other indignities, speaks for itself. It describes a strong and confident woman who spoke up about shoddy medical practices, told underlings during a complex cardiac procedure to stop chatting so she could concentrate and complained about disrespect from male colleagues. It says she opposed unsafe practices, including “substandard patient preparation for device implantation and patient care.” A colleague, the suit says, replied that the problems were probably caused by Bala’s personality. The lawsuit says male employees were not treated the same way. “Men were not routinely criticized by staff for being strong and direct,” the complaint says. Bala stayed less than two years at OHSU after working for 12 years at the University of Pennsylvania Health System. The lawsuit says she started in January 2015 after being "heavily recruited" to lead OHSU's cardiac unit that specializes in minimally invasive procedures that involve threading a catheter up through the body to implant a Pacemaker, for example, or to treat an irregular heartbeat. The suit says that the head of the catheter lab actually acknowledged that the unit needed better nurses and technicians, but told Bala to tone it down because colleagues were complaining about her direct communication style. In one meeting, the suit says, Cigarroa, one of the defendants, accused Bala of having inappropriately high standards. He said that cardiac fellows at OHSU were not as competent as those at the University of Pennsylvania and that she needed to tone down her expectations, the suit says. But she kept speaking up. Her immediate boss, Henrikson, and the head of the Knight Cardiovascular Institute, Dr. Sanjiv Kaul, put her on an improvement plan, a step before termination, the suit says. They said she was “abrupt” and “abrasive” and accused her of having an “East Coast” style of communication. The lawsuit says that men with similar styles were not punished. Bala is not the only professional at OHSU who’s complained of sexual discrimination or harassment. A faculty survey obtained last year by The Lund Report showed that 24 percent of respondents had witnessed staff being harassed and that 14 percent had experienced it themselves. Nearly 20 percent said they’d seen discrimination and 14 percent reported being discriminated against. Earlier this year, Kirsch himself was demoted to a faculty position. The lawsuit says that the investigation against Bala was closed and that the allegations were unsubstantiated. But it says that hostility toward her continued. In May 2016, human resources staff told Bala that her contract would be terminated. She fought back, going to Kaul and Dr. Sharon Anderson, chairman of the Department of Medicine. The lawsuit says that Anderson felt that complaints against Bala were unfair and tried to support her. In the meantime, Bala continued to complain about “serious substandard patient care,” the suit says, and told supervisors that she was being discriminated against. It says that in May 2017 a cardiac tech referred to her using the “B word.” Bala confronted him and he apologized, the suit says. She resigned last June in order to avoid being fired, the complaint says. Even then, the suit says, OHSU retaliated against her by sending negative reviews to potential employers. Nevertheless, she’s been hired as director of the cardiac electrophysiology lab at the University of Arizona College of Medicine. The institution’s website says she has a mandate to expand the program.